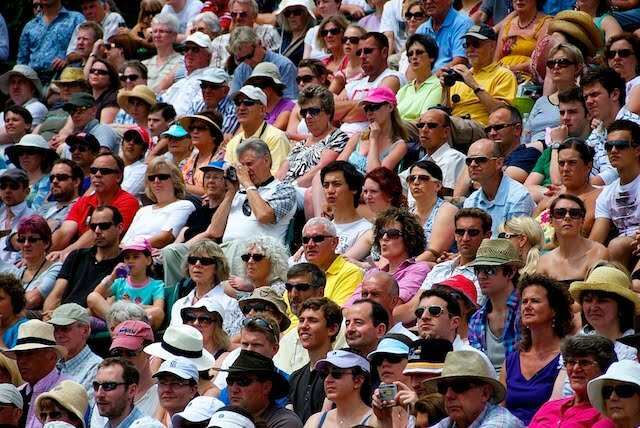 Spectators on Court 18 at the Wimbledon Championships watch intently. Hats! Wow it must be warm. They think it might snow in the mountains today.